Let’s be honest, the wellness industry is booming and there are a lot of ways to spend your money these days. It is easy to feel inundated and overwhelmed. You need to make sure you are investing your time and your money wisely. As a Pilates teacher, studio owner, ELDOA teacher trainer, lover of mindfulness and a self care devotee, I firmly believe that an ELDOA certification is the best investment you can make for your clients and for yourself. And it is a fantastic compliment to Pilates. ELDOA makes Pilates more effective. Whether it’s posture improvement, deep body balance of strength or pain management that brought your clients to the Pilates world, ELDOA will push them to more profound results. ELDOA is different. Your muscles fall lower on the priority list. ELDOA targets your connective tissue: what surrounds and connects one muscle to another. By prying open your tissue, creating more length on this very deep level, your bones begin to find new positions, and your muscles contract in deeper, more specific, less restricted ways. Traditional Pilates exercises can then be performed with less tension, greater range of motion, and with more intensity. You will get better results, faster. ELDOA will make you a better Pilates instructor. By targeting your spine and connective tissue with movement you increase your body’s hydration on a cellular level and improve the function of your entire nervous system. Proprioception (your ability to sense your body in space and connect mind to body) improves dramatically. You will learn a lot about your own body by being able to sense it more deeply. Learning more about yourself multiplies what you are capable of doing for others. ELDOA is an excellent diagnostic tool. Areas of restriction that are a part of the “bigger picture” of where problems are coming from, are brought to the surface very quickly with ELDOA positions. You can use the positions to encourage your clients to begin to sense this for themselves and communicate what they are feeling to you. As an instructor, ELDOA will diminish your guess work. ELDOA will help you become fully pain free. When it comes to back pain, strengthening your core will take you a long way, which is why a lot of people are told to start Pilates. But a lot of people need more than core strength to get relief. There is a different ELDOA pose for each level of the spine, and others for the different parts of the pelvis, the hips, knees, shoulders, wherever your body takes compressive forces. Each pose is like traction for your spine with the added benefits of a) being able to target specific levels of the spine and b) using your own body’s strength to create this traction effect thereby developing the strength to maintain this decompression day to day. I am proud to say that I have used ELDOA to effectively prevent a number of my clients from getting the back surgery they were told they needed. ELDOA is an empowering take anywhere tool Pain is exhausting and debilitating. Knowing you have a tool you can count on to give you relief is incredibly empowering. The poses are multifaceted and a little complicated, but once your clients have the confidence they can be performed between sessions, anywhere. Each position is held for just 1 minute. And 1 might make all the difference. Your clients will gain the power to affect change in their own bodies, whenever they need it, with very little space and in very little time. Let me teach you more! Please join me for my upcoming ELDOA training program in Toronto. Petra is the owner of Sphinx Pilates and ELDOA Teacher Trainer. With a keen interest in rehabilitative exercise, Petra enjoys working with clients of all ages and wellbeing. 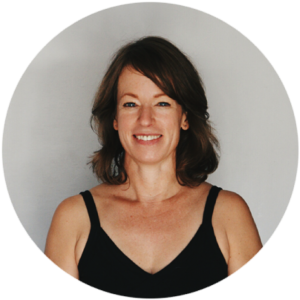 Petra is a Pilates Method Alliance (PMA) & ELDOA Certified Teacher Trainer, holds a B-Comm McGill with additional certifications through Movement for Health and the Physicalmind Institute. She’s been trained by Dianne Miller, Eileen Birks and Marie-Josee Blom and influenced by leading experts Tom Myers, Robert Schleif and Guy Voyer DO.